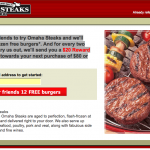 Tag Archives for " omaha steaks "
There are a handful of referral offers that are based on simple foundations proven successful for years. I preach the creative use of these all of the time, so itâ€™s always nice when I come across businesses utilizing them. I would like to share two examples, one focused on a current customer and the other on a strategic partner base. The first one comes from Omaha Steaks. This long-time mail order meat shipper has always been recognized as an innovative marketer, particularly in the direct mail world. The offer they are making comes under the â€œgift certificateâ€ category offer. Essentially what this type of offer does is to give a gift to a customer and ask them to share it with friends (referrals) â€“ the offer further incentivizes the source by allowing them earn points, money, prizes, etc. when those referred become customers. The Internet has certainly made running a program like this much easier. The key that makes this work is giving your referral source something tangible and valuable that they can use to giveaway to make the referral happen. 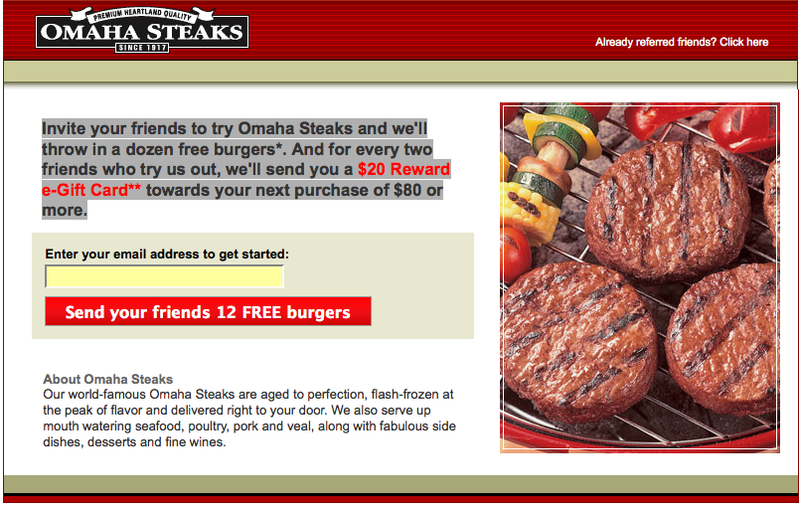 They run the entire campaign with a landing page at – http://shareomahasteaks.com/ and utilize snail mail and email to push traffic to the page. 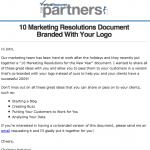 The Vertical Response offer, focused on generating referrals from partners, falls into the â€œco-brandingâ€ category. For this kind of offer you simply create valuable, education based content and package it in the form of an ebook, white paper, webinar or seminar and take it to partners and let them co-brand (put their logo and contact info on) the content and use it with their customer base. The appeal of this approach is that everyone knows they should be producing this kind of content, but who has the time? By bringing your partners an “out of the box” solution you make yourself easy to partner with and promote â€“ and that is one of the keys to any referral partner relationship. 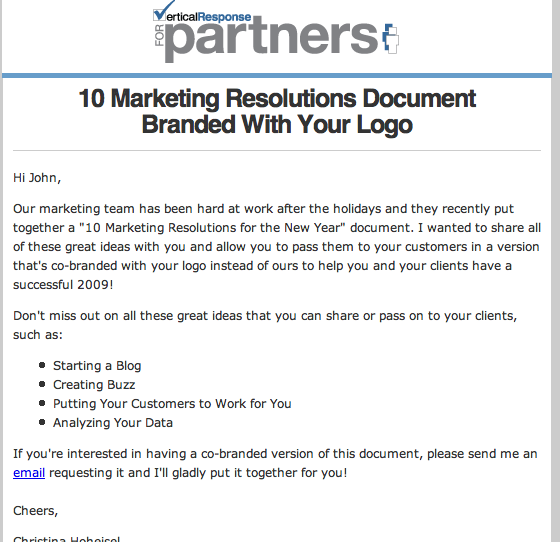 Vertical Response produced a report title – 10 Marketing Resolutions for the New Year and offered it to its affiliate partners complete with the partnerâ€™s logo. I teach these types of approaches, but nothing illustrates a point like a tangible example. Employing multiple referral programs, focused on different market segments and partners is the key to building a culture of referral.